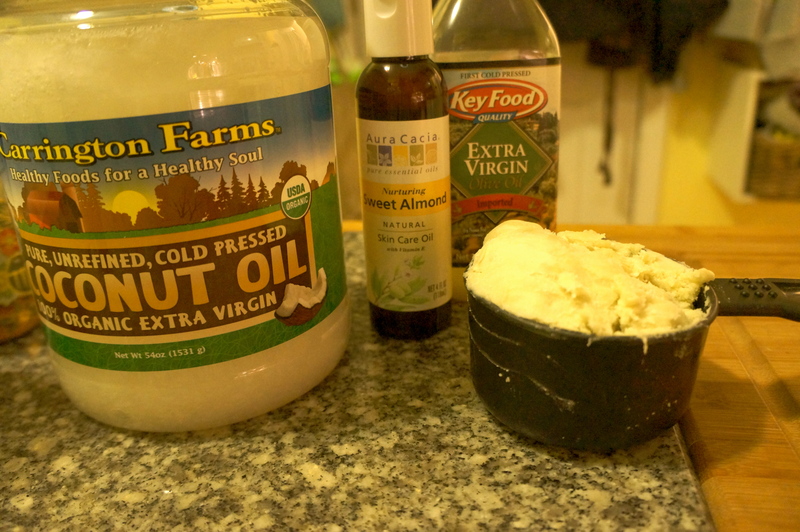 Posted on March 5, 2013 by All Of Your Beeswax Tagged All NaturalBody ButterDIYhand mixerlotionraw shea butterShea Buttersweet almond oil	Comments3 Comments on When a Lotion Comes Along, You Must Whip it. When a Lotion Comes Along, You Must Whip it. Well, it shouldn’t take long to realize what this post is going to be about. You guessed it (probably), whipped body lotion! Shea butter lotion to be exact. Oooooh yeah, this is some good business here. This is a super simple recipe that only has like 3-4 ingredients depending on your preferences. The one thing that it does absolutely require is a hand mixer. You know what else absolutely requires a hand mixer? Merengue, and probably all sorts of other stuff, like…um, buttercream?. So you know, go and get one if you don’t have one. 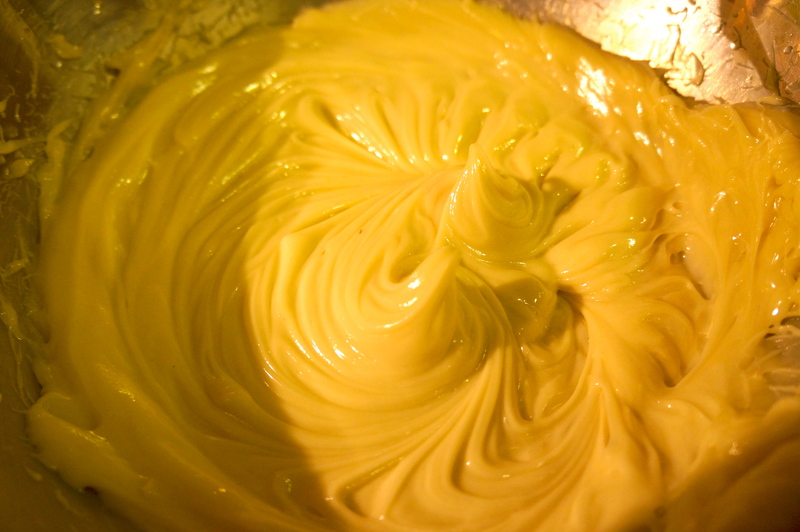 Use a double boiler to melt the shea butter and coconut oil until they are liquid. 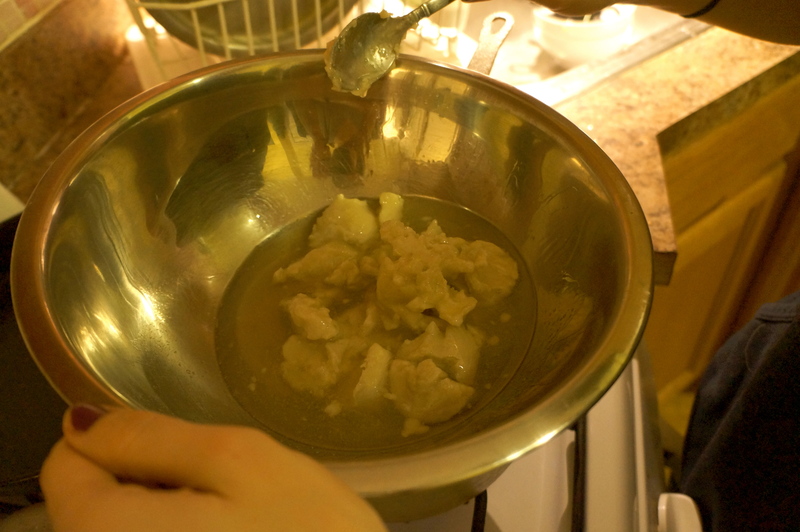 Stir in sweet almond and olive oil. Here’s where you can add some essential oils if you would like, but be warned, no matter what you do, this lotion smells like chocolate. Which is of course, not a terrible thing. However, it seems pretty difficult to get a scent to stick. We used some sweet orange which brings a nice citrusy note to the chocolate party. Allow to set up in fridge until lotion is almost solid. 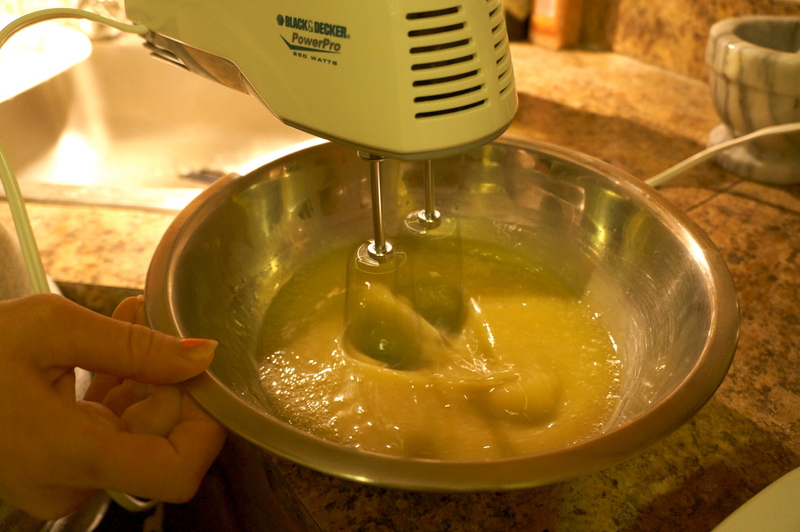 Whip it (whip it good) with hand mixer until stiff peaks form (maybe 1-2 minutes). Transfer to receptacle of your choosing. This is a great post shave/shower lotion. It’s luxurious and rich and a little certainly goes a long way. Happy whipping! Vinegar, how I love thee.